The original Pealess Whistle in Fingergrip style! Authentic. Original. The Original Pealess Whistle in Fingergrip style! 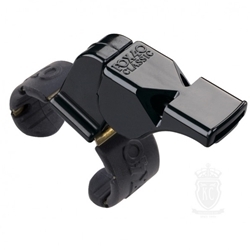 For referees and coaches at every level who depend on the reliability of the Classic, but prefer a fingergrip style. Adjustable fingergrip size. 115 decibels of power ensures every call will be heard above the crowds and players!